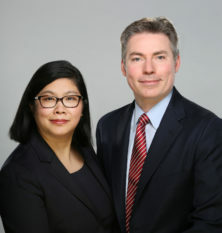 Austin Bartlett (’00) and his wife Emily Chen (’01) recently launched their new law firm BartlettChen LLC in Chicago, IL. The two have spent years honing their legal skills defending prominent corporations in litigation across the United States and are now using that experience to help people who have been injured or face a difficulty legal problem. Their practice areas include personal injury and wrongful death, aviation litigation, appellate litigation, commercial space law, and general litigation.